Today, as our King and Savior draws near let’s turn our attention to our Old Testament reading, Isaiah chapter 35, written centuries before the birth of Jesus. 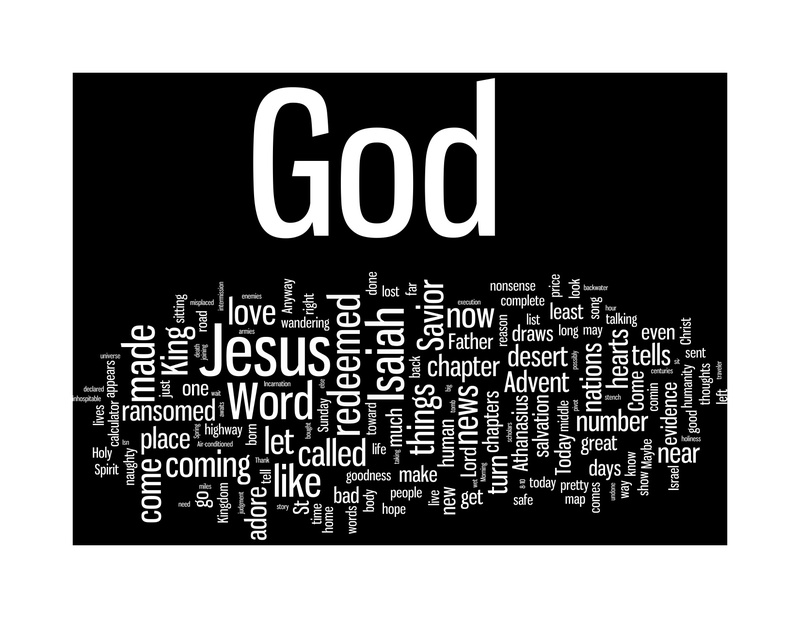 Isaiah opens with 39 chapters of God’s impending judgment. There is destruction, desolation, and ecological and political disaster. This is not Christmas material. But right in the middle of it all…dropped into the midst of the judgments, like intermission in a movie too long to sit through without a popcorn break, comes chapter 35. Some say this hopeful song belongs after chapter 40, when Isaiah’s message changes from correction to comfort. Others argue that it should come even later – after the exile. Either way, this poem appears glaringly out of place. In the middle of the bad news, God Interrupts. With words out of place that will not wait until we make things right. …Words of hope against all evidence and reason. Stanza 1: v. 1-2 The desert will bloom – The desert is inhospitable. We have tamed it with asphalt and Air-conditioning, but ask a family trying to get to the US on foot about the desert. Every decade or so, though, we have a wet Spring and wildflowers are everywhere. God’s new Kingdom, the one that started at Jesus’ first coming and will be made complete when he returns, will be like that. Stanza 3: v. 5-7 Humans too will thrive like the desert coming to life! and it shall be called the Holy Way; the unclean shall not travel on it, but it shall be for God’s people; no traveler, not even fools, shall go astray. -You cannot get lost following God’s road. Not even if you are directionally challenged! they shall not be found there,” – God has a new Kingdom in which we will, each and every one of us, be safe. “the redeemed shall walk there. 10 And the ransomed of the Lord shall return, and come to Zion with singing.” The “redeemed”-those God has bought back. The “ransomed” – those God paid a price for. Our great price payer- God himself is coming. Jesus is on the horizon. And all things will be made new. and sorrow and sighing shall flee away.” Now that is the kind of life we all want! Beautiful words out of place. But being redeemed presumes we need redeeming. Here is the truth: I need redeeming. I realized that one day when I was feeling pretty good about myself. I had been a pretty giving guy and was feeling, to be honest, that God was sort of lucky to have me on his team. Then I got this impression. Maybe it was from the Lord. Maybe I just have an over active conscience. Anyway, I realized that, on my best day, maybe I only have 4 thoughts or actions that are faithless or fearful or nasty…you know the things Episcopalians confess each week, “the things we have done, and the things we have left undone.” Anyway I happened to have that thought sitting at my desk. Unfortunately a calculator was within eyeshot. And I made the mistake of picking up that calculator and multiplying my really optimistic number (4) x the number of days in a year x the number of average years American men live. The resulting number was: 113,380. That’s right, I have a bare minimum of 113,380 sins. The “bad news before we can get to good news” is that I am a far less admirable person than I care to believe. And God is far more forgiving than I can possibly imagine. Let’s just say that when it comes to sin, the data is not in our favor. -The king of the universe born in an outhouse for animals. -God’s Son wandering and teaching and healing the least, last and lost, not in the halls of power but in backwater Palestine. Some have euphemistically called Judea a “major thoroughfare of the Empire,” but if that’s so, most of Jesus’ ministry was the equivalent of wandering I-10 between Eloy and Picacho. If Jesus came today we would politely offer to show him a map. -Yet death could not hold him and he walked out of the tomb. -He disappeared into heaven in front of witnesses, sent his Spirit to dwell in the hearts of his own, and ever lives, talking behind our backs with the Father about how much they adore the likes of us. -And He has entrusted us with his mission and awaits for us to finish the work of carrying the news of hope in Him to consummate His story. Words out of place always sound absurd: God joining humanity so that humanity could join God-it just sounds…well, ridiculous. Against all evidence. Where he is least expected. God has sent a Word, a Word that appears out of place, and that Word tells us, that no matter how it looks, It may be Friday, but Sunday’s a comin’. …with kindness and not condemnation, Well what else could we say but, “O Come, Let us adore him”? You see, when the Scriptures call you and I “the redeemed” and “the ransomed” it isn’t talking about pennies for pop bottles. In Christ Jesus, God has saved us. And God has done so at His initiation and at His expense. Do you know God’s great love? Have you allowed God in Christ to be Your King and Savior? Are you numbered among the redeemed? That’s a beautiful sermon. Especially love the sin calculator idea…. Thank you. I was a bit shocked by the results. Yes – it’s shocking if you just think for a minute about sin over the course of one year (1460! ), let alone over the course of a lifetime. I also wanted to add: “All doxologies are against the data” is just a fantastic phrase! I have never heard this before, but it really says everything, doesn’t it? 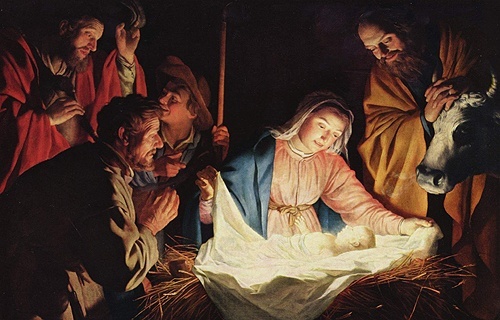 And of course, the points you made about the Incarnation are just beautiful. That is from Brueggeman-he writes lots of great stuff. Inspired by your challenge, we ran our advent devotionals through a tag cloud to see where we had focused most in our writing this year. Thanks for the brilliant idea. Hi Dave. Thanks. I can’t take credit though. It was really Fr. Robert Hendrickson in Denver who came up with it. He blogs as the subdeansstall.